This post is a little different for this blog, and is something that I would usually write about on my personal blog (click here to see it), but I think reading is really important and since this blog gets more views, I decided it's better if I post it here. So this list is a compilation of 8 of my favorite books. There's a lot of variety in my list, and I think that everyone will be able to find a book they'd like to read! But before we get started, I wanted to mention that I LOVE Audible! I've been using it a lot lately, and if you want to get two audio books for free, you can do so by clicking here! People have really strong feelings about On the Road, but I'm one of the people that likes it. This book emphasizes rebellion, wanderlust, and youthfulness, which are all things that are really relevant at some point in our life. I love The Sell and I love Fredrik. He's by far my favorite broker on Million Dollar Listings NY and his success is astonishing. I did a whole review on the Sell, which you can watch here, but if you want to be a better businessperson, worker, or even a better human, you need to read this book! I really liked the Divergent books and if you haven't gotten a chance to read them yet, I strongly suggest it. I guess it's marketed as Young Adult Fiction, but I think that anyone can enjoy this book. This is fitting since the Festival of San Fermin is only a few weeks away, and that's where the book is set in. I think this book is beautiful, and I really want to re-read it sometime this summer. Also, I think it's fitting to mention that going to San Fermin is one of the things at the top of my bucket list! The Paper Towns movie comes out later this summer, so I think it's a good time to read the book! I read it last summer, and I really liked it. John Green is just really good at writing character and dialogue. This book is such a classic, and it really never gets old. It's definitely a book that you need to read once in your lifetime. It's also a pretty easy read, so you can read it poolside! This is the book that I'm currently listening to on Audible. I'm over 3/4 into it, and I am loving it! It's witty, honest, and full of really great lessons and truths. I'd strongly suggest getting the audiobook because Amy reads it herself, which makes it even more special. I thought that I should put another business book in here! I am also reading this right now, and I'm close to finishing it. If you're a businessperson, an entrepreneur, or someone who wants to be either of those, then this is a really helpful book. 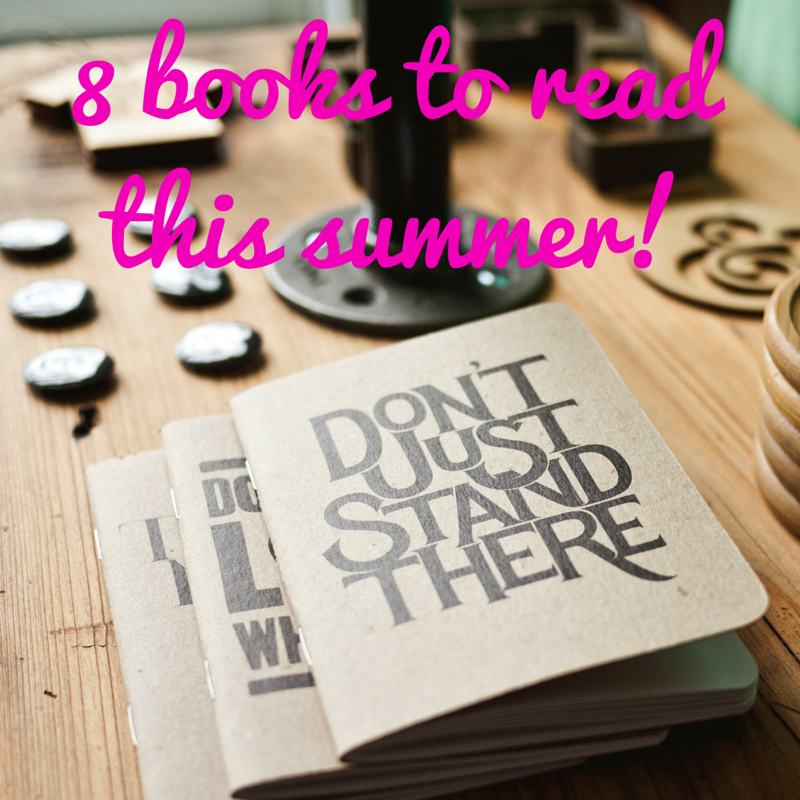 Let me know in the comments what books you're reading this summer, and what books from my list you'd like to read! Also, don't forget to get your 2 free audiobooks by clicking here! I definitely want to re-read it before I see the movie too!